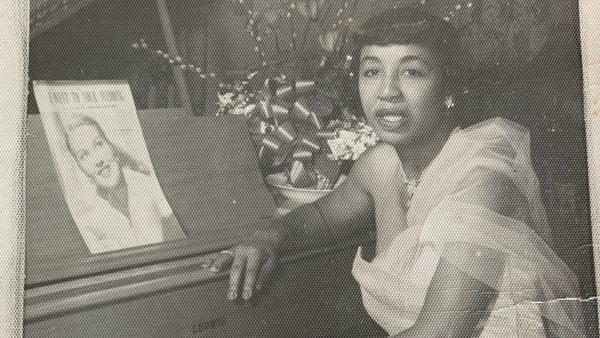 Jessie Mae Robinson's songs have been recorded by hundreds of artists, from Louis Jordan to Lana Del Rey. Many may know Wanda Jackson's 1960s hit "Let's Have a Party," or even the versions performed by Led Zeppelin and Elvis Presley, but most will not recognize the name of the woman who wrote it: Jessie Mae Robinson. Whether she was composing party songs or heartbreak songs, Robinson wrote with the concise, evocative language of a journalist. She gave her characters dignity no matter who they were or what they were doing. Born in Texas in 1918 and raised in California, Robinson's songs have been recorded by hundreds of artists, from Louis Jordan to Lana Del Rey. Growing up in the Watts neighborhood of Los Angeles, Robinson found a supportive community, and plenty of opportunities to explore her creative interests. She became a champion tap dancer, competing at the old Largo Theater. As a teenager, she wrote a column for the California Eagle newspaper. She earned an Actors' Equity card, performing in WPA musicals like Show Boat. But Robinson also had a penchant for making up melodies and writing poetry. She was encouraged to become a songwriter by neighborhood friend Joe Adams, who'd go on to manage Ray Charles and Dootsie Williams. Williams owned a local studio, where Robinson got her songwriting start. She caught a break in 1945, when a young Dinah Washington released "Mellow Mama Blues." Robinson was an African American woman working mostly on her own in the 1940s and 50s, but she challenged a music industry determined to pigeonhole her into writing only blues and R&B. She loved Tin Pan Alley and show tunes, and refused to be confined by genre. In 1952, Robinson had her first pop music crossover success when Patti Page recorded her song, "I Went To Your Wedding," about watching the love of your life marry someone else. A self-taught musician, Robinson wrote songs even when she had no access to an instrument. She'd hum melodies into a tape recorder, and scribble lyrics on random pieces of paper. She didn't learn to drive until age 30, so early in her career, she'd take a bus to Hollywood, and have her songs transcribed onto sheet music that the studio musicians could read. In the early 1960s, Robinson started her own record labels, naming the first one after her daughter, June. Though she loved music, Robinson had grown tired of the industry. She was physically tired, too. Robinson's health was in decline, and in 1966 she sought treatment for a chronic throat problem. The doctors suggested surgery, but she said no, fearful of permanently losing her voice. Robinson died in 1966 at age 48, leaving behind a body of work that reflects who she was: soft-spoken yet self-possessed, imaginative and ambitious. She was a uniquely gifted composer with an eye for detail that most people overlook and the ability to pack so much emotion into just a few words. 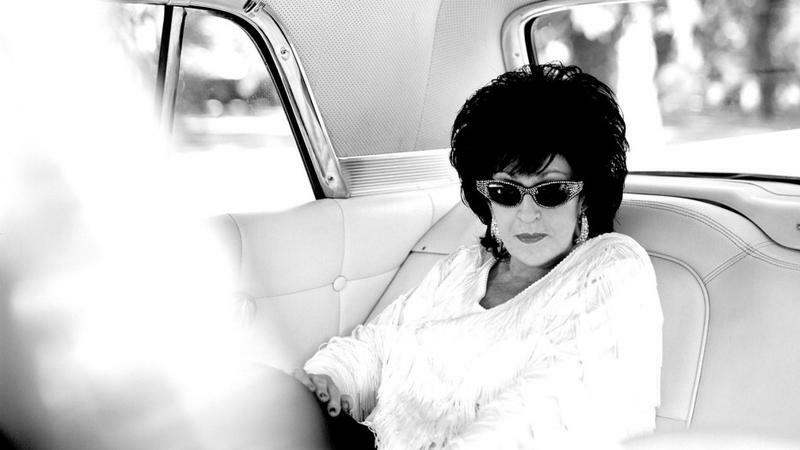 WANDA JACKSON: (Singing) Some people like to rock. Some people like to roll. But moving and grooving's going to satisfy my soul. Let's have a party. That's Wanda Jackson singing her 1960 hit "Let's Have A Party." You may have heard this song by Elvis or Led Zeppelin, but you probably haven't heard of the person who wrote it, Jessie Mae Robinson. Born in Texas in 1918, raised in California, Robinson's songs have been recorded by hundreds of artists from Louis Jordan to Lana Del Rey. Music critic Meredith Ochs tells her story as part of our series The Women Behind The Songs. MEREDITH OCHS, BYLINE: Whether she was composing party songs or heartbreak songs, Jessie Mae Robinson wrote with the concise, evocative language of a journalist. And she gave her characters dignity no matter who they were or what they were doing. LOUIS JORDAN: (Singing) They did the boogie real slow with the blue lights way down low. OCHS: She often drew inspiration from her own life experiences. As an African-American a woman working mostly on her own in the 1940s and '50s, Robinson challenged a music industry determined to pigeonhole her into writing only blues and R&B. OCHS: But she loved Tin Pan Alley and show tunes, and she would not be confined by genre. OCHS: In 1952, Robinson had her first pop music crossover success when Patti Page recorded her song about watching the love of your life marry someone else. PATTI PAGE: (Singing) The organ was playing. My poor heart kept saying, your dreams, your dreams are through. OCHS: Growing up in the Watts neighborhood of Los Angeles, Robinson found a supportive community and plenty of opportunities to explore her creative interests. She became a champion tap dancer, competing at the old Largo Theater. She earned an Actor's Equity card, performing in WPA musicals like "Show Boat." PAGE: (Singing) I uttered a sigh, whispered goodbye. OCHS: But Robinson also had a penchant for making up melodies and writing poetry. She was encouraged to become a songwriter by neighborhood friend Joe Adams, who'd go on to manage Ray Charles and Dootsie Williams. OCHS: Williams owned a local studio where Robinson got her songwriting start. She caught a break in 1945 when a young Dinah Washington released this song. DINAH WASHINGTON: (Singing) I've got a mellow man who loves me and mellow whiskey in my glass. OCHS: A self-taught musician, Jessie Mae Robinson wrote songs even when she had no access to an instrument. She'd hum melodies into a tape recorder and scribble lyrics on random pieces of paper. OCHS: She didn't learn to drive until age 30. So early in her career, she'd take a bus to Hollywood and have her songs transcribed onto sheet music that studio musicians could read. It worked. OCHS: In the early 1960s, Robinson started her own record labels. She named the first one after her daughter, June. She loved music but was tired of dealing with the industry. She was also physically tired. Her health was in decline, and in 1966, she sought treatment for a chronic throat problem. CHARLES BROWN: (Singing) My mother has the trouble. My father has it, too. OCHS: The doctor suggested surgery, but she said no, fearful of permanently losing her voice. BROWN: (Singing) Black night is falling. Oh, how I hate to be alone. OCHS: She died later that year at age 48, leaving behind a body of work that reflects who she was - soft-spoken yet self-possessed, imaginative and ambitious, a uniquely gifted composer with an eye for detail that most people overlook and the ability to pack so much emotion into just a few words. Generations of music fans continue to discover her songs, but I hope they discover her as well. NINA SIMONE: (Singing) The other woman finds time to manicure her nails. CORNISH: That's music critic Meredith Ochs on songwriter Jessie Mae Robinson. It's part of our series The Women Behind The Songs. SIMONE: (Singing) And she's never seen with pin curls in her hair. The other woman... Transcript provided by NPR, Copyright NPR. Anyone who grew up listening to the radio or putting vinyl discs on a record player in the early 1950s will recognize this tune instantly. Oklahoma Rock Show: Rewind is your home for the music of Oklahoma’s past. In this episode, we explore the world of pop music, through Oklahomans that sang, played, recorded, wrote or produced pop songs.